13 Terrifying Flicks Return to Blu-ray Just in Time for Halloween! LOS ANGELES, CA (October 1, 2014) – Metro Goldwyn-Mayer Studios and Fox Home Entertainment are re-releasing 13 cult classic horror films on Blu-ray. Each iconic movie will be decked out with an all-new, limited-edition artist-rendered faceplate by Skuzzles which are available today at Best Buy, Walmart and other major retailers nationwide! 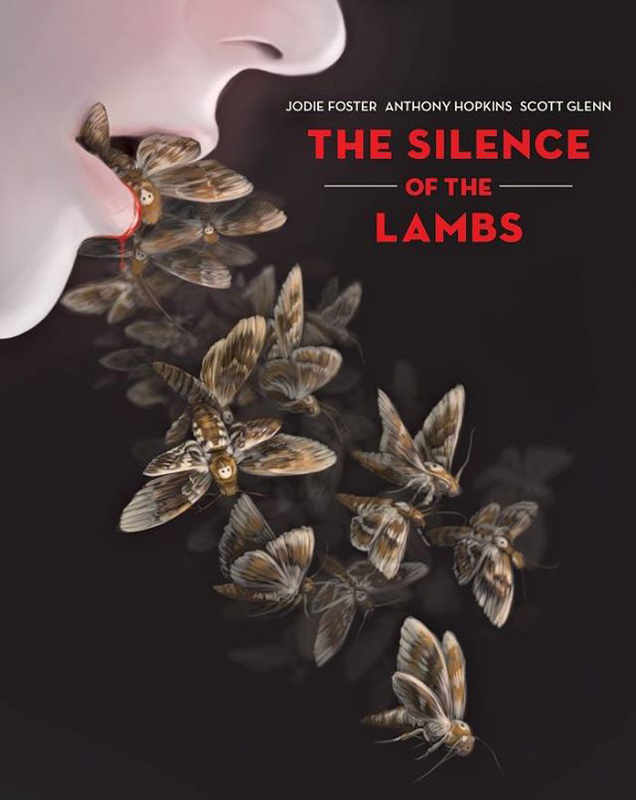 Relive some of the most terrifying moments in horror film history with 13 cult classic films in MGM’s catalog from the 70s, 80s and 90s, including: five-time Academy Award-winning film4The Silence of the Lambs (1991) starring Jodie Foster, Anthony Hopkins and Scott Glenn; Academy Award1 and Golden Globes-nominated2The Amityville Horror (1979) starring James Brolin, Margot Kidder and Rod Steiger; Two-time Academy Award-nominated3 film Carrie (1976) starring Sissy Spacek and John Travolta; Child’s Play (1988) starring Catherine Hicks and Chris Sarandon; Invasion of the Body Snatchers (1978) with Donald Sutherland, Brooke Adams, Leonard Nimoy, and Jeff Goldblum; Jeepers Creepers (2001) with Justin Long; Killer Klowns From Outer Space (1988); Wes Craven’s The Last House on the Left (1972); The Return of the Living Dead (1985); Tobe Hooper’s The Texas Chainsaw Massacre Part 2 (1986) starring Dennis Hopper; Teen Wolf (1985) starring Michael J. Fox; Species (1995) with Ben Kingsley, Alfred Molina, Forest Whitaker, Michelle Williams and Natasha Henstridge; and Rob Reiner’s Stephen King-inspired psycho thriller Misery (1990) starring James Caan and Best Actress5 Kathy Bates. Metro-Goldwyn-Mayer (MGM) is celebrating 90 years as a leader in the entertainment business and as an innovator in the industry. Today, MGM is an entertainment company focused on the production and distribution of film and television content globally. The company owns one of the world’s deepest libraries of premium film and television content. In addition, MGM has investments in domestic and international television channels. For more information, visit www.mgm.com. Previous PostInterstellar Google Space Hunt Released Alongside News of Early Screenings!Next PostMore Mouse Guard! Archaia Releases Baldwin the Brave!